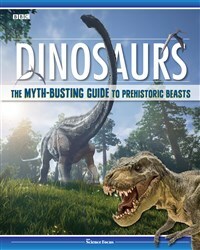 Packed with facts and illustrations on the latest finds and theories for dinosaur enthusiasts of all ages. BBC Focus magazine offers news and analysis of the latest developments in the worlds of science and technology, as well as interviews with the people pushing the boundaries of human knowledge. Readers also find reviews of all the latest consumer technology and the coming month's science- and tech-related entertainment and events.